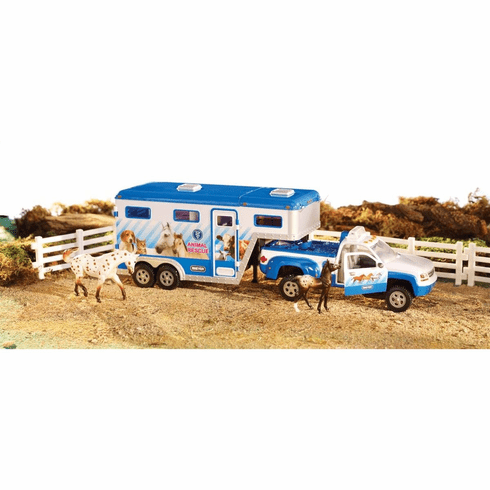 Breyer's New Animal Rescue vehicle features authentic slant-load gooseneck trailer with working tailgate, doors and a roof that opens for easy access. Pickup truck has working doors and wheels that pivot and really roll. Working lights and siren clear the way to get to the animals in need! Stablemate Breyer Model Horses and other accessories are not included.